A four-storey building collapsed in India’s capital Delhi on Saturday, killing 10 people, including five children. Just hours later, a 12-storey building under construction toppled in Chennai in heavy rain, leaving six people dead. 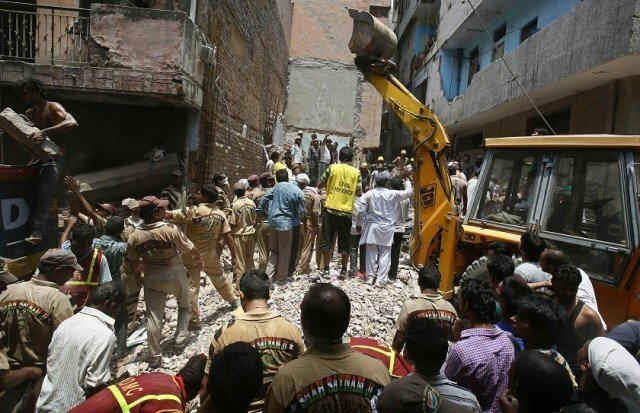 India has recently seen frequent building collapses, blamed on lax safety and substandard materials. Rescue teams with cutters and shovels are continuing to search for survivors in the rubble in Chennai, in the southern Tamil Nadu state. A police investigation has also been launched. In January, at least 14 people died when a building under construction came crashing down in the western state of Goa.